A remarkable heat wave warmed Antarctica’s northernmost peninsula to slightly above 63 degrees Fahrenheit (17 degrees Celsius) in March — a record high for the normally cold continent. But scientists say the balmy conditions were caused by a "freak weather event," and cannot be directly attributed to climate change. The unusually high temperatures were recorded on March 23 and March 24 at two weather stations: the Esperanza Base and the Marambio Base, both on the northern tip of the Antarctic Peninsula. Previously, the hottest known temperature recorded on the continent was 62.8 degrees F (17.1 degrees C), on April 24, 1961. "Long-term trends in Antarctic temperature are perhaps slightly rising over the continent as a whole, but are quite variable," Schmidt told Live Science in an email. Still, the temperature spike can be attributed to the peninsula's geography and westerly winds, which do seem to be growing stronger with increasing climate change. The Antarctic Peninsula is a slender arm of land that reaches up from the continent toward South America. This region is mountainous, and its highest peak rises about 9,200 feet (2,800 meters) above sea level. In order for the increasing westerly winds (which really flow clockwise around the continent) to cross over the mountain range, they have to first rise on the windward side and then descend on the leeward side. But even as the wind rises, it doesn't cool like one might expect. Any moisture-laden air will rain or snow as it rises. "It just can't hold any more water," said Ted Scambos, a glaciologist with the National Snow and Ice Data Center, at the University of Colorado at Boulder. This precipitation means the air stays at a warm temperature despite its new, high elevation. When the wind descends on the leeward side, in what is known as a chinook wind or a foehn wind, the air heats further still. "Because it's coming downhill and getting lower in elevation, it's getting compressed, and therefore it's getting warmer," Scambos told Live Science. 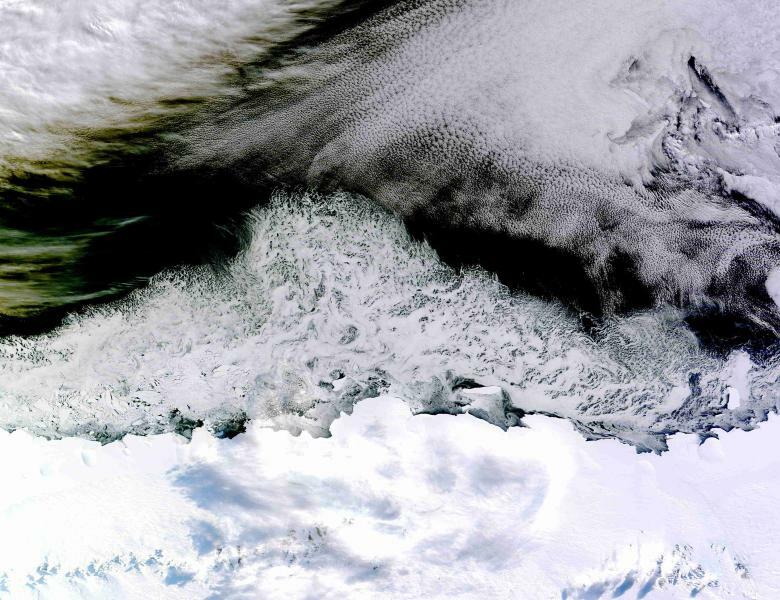 This weather pattern created a hot spot that lasted for several days over the Antarctic Peninsula. It's this trend that likely caused the collapse of the Larsen B ice shelf in 2002, when 1,250 square miles (3,250 square kilometers) of ice disintegrated rapidly into the ocean. And ice loss in Antarctica is only getting worse. A separate study published last month in the journal Science found that ice shelf losses in western Antarctica have increased by 70 percent over the last decade. But Laurie Padman, a senior scientist from Earth & Space Research, a nonprofit research institute, and a co-author of the study published in Science, warns against drawing a direct correlation between Antarctica's overall ice loss and the recent temperature spike. 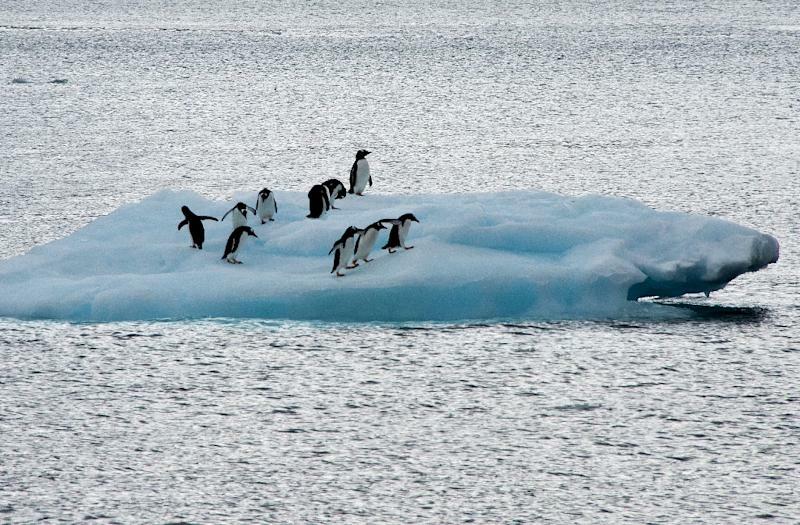 "For most of Antarctica, we think that the loss of ice shelves is because of changes in the amount of warm water that gets under them, and so they're melting from below," Padman said. This generates meltwater, but it also loosens the contact the ice has with the bedrock, therefore allowing it to flow out far more easily. And the world's oceans have been warming rapidly, absorbing most of the planet's excess heat. Still, westerly winds, which caused the hotspot two weeks ago, might also increase ice loss. The clockwise winds push warm ocean water up against the side of Antarctica, and it's this direct contact between the two that helps melt the ice. So ice loss and the temperature spike can both be attributed to westerly winds, which scientists agree are increasing with climate change. The exact factor behind those winds is likely a combination of the Antarctic ozone hole and increasing carbon dioxide emissions, Scambos said. "So it is all connected to climate change, but one should not attribute this event to greenhouse gases," Scambos said. "It's a freak weather event that's set against a backdrop of a very slow progression toward a warming planet and a planet that has shifting patterns in it." Follow Shannon Hall on Twitter @ShannonWHall. Follow Live Science @livescience, Facebook & Google+. Original article on Live Science.